Britain’s biggest garden centre chain is revamping its offering to cater for a generation of ‘convenience gardeners’ who rent their homes, want instant results and have little knowledge of horticulture. The retailer will launch pre-planted pots to cater for such consumers, marketed as ideal for balconies and longer-lasting than cut flowers. Wyevale’s analysis found more people are now renting their home or living in smaller spaces – so they’re less likely to invest in outdoor spaces. The firm will boost its offering that’s designed to appeal to renters, from garden storage solutions to grow-houses and windowsill propagators. 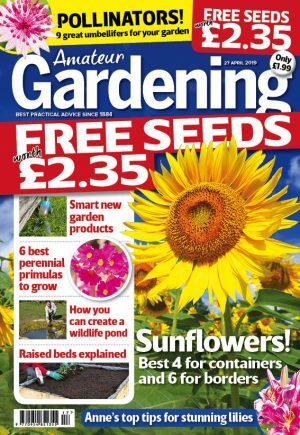 Wyevale, which said it “expects to see sales of organic and natural growing media rise across the business,” found that more consumers are “looking to their gardens to stimulate their sense of wellbeing”. In response to demand, the retailer will ramp-up its edibles offering: “Alongside traditional fruit and veg, centres will be introducing purple-hued counterparts. Wyevale Garden Centres, which employs 5,000 staff and has 2.5million members in its Gardening Club, said sales of hardy plants are on the rise as shoppers look for varieties that can survive extreme weather. The retailer claimed that 90 per cent of its plant stock is British-grown.